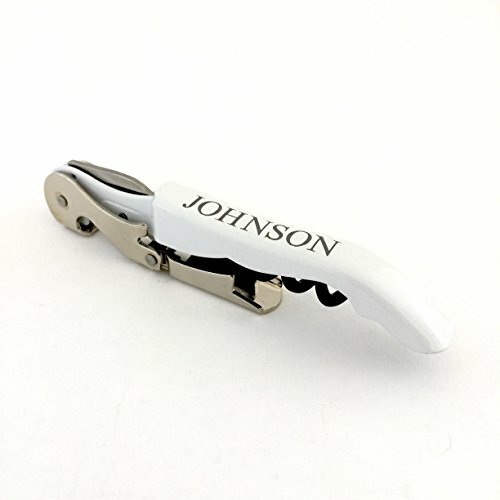 The personalized metal wine bottle opener makes a great party gift or favor. The quality corkscrew is top quality with a double hinged design that makes for much easier bottle opening. Choose Customize Now button above to add your custom engraving instructions. Design is permanently laser engraved into white metal in silver lettering. If you have any questions about this product by The Personal Exchange, contact us by completing and submitting the form below. If you are looking for a specif part number, please include it with your message. Rabbit Wine Opener Set - 7- piece w/ Stoppers by Maestro " Chef for Passion"
By Maestro "Chef for Passion"